Welcome home to Maple Terrace Apartments! Our apartments in Maple Shade, NJ have extraordinary garden-style deluxe floor plans and upgraded kitchens, as well as standard floor plans to suit any need. Select floor plans have been fully renovated and offer designer kitchens and appliances which include a dishwasher, garbage disposal and brand new ceramic tile bathrooms with energy-efficient fixtures. Each spacious home features private entry, custom interior paint colors, wall-to-wall carpeting and private patios/balconies with views of the beautifully landscaped courtyard. 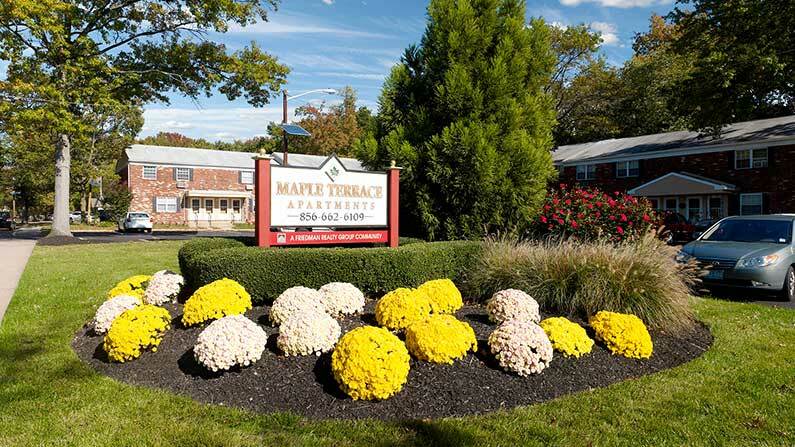 All of the residents in our apartments in Maple Shade, NJ enjoy free gas heat and hot water, on-site laundry facilities and ample off-street parking at your front door. Our apartments are pet-friendly so you can bring your furry friends too. 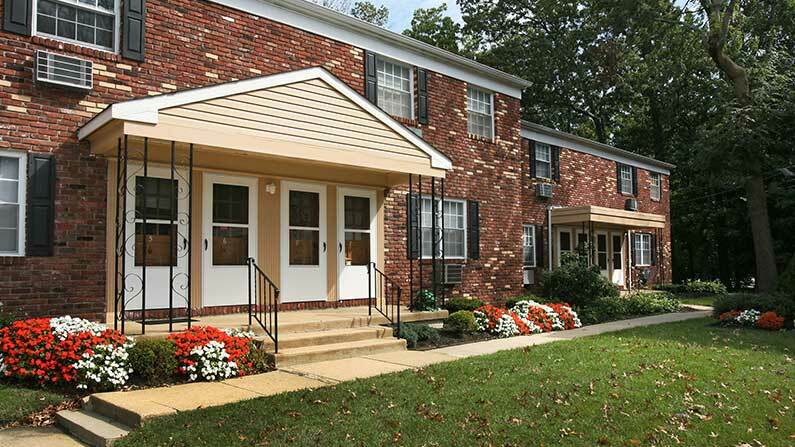 Maple Terrace Apartments is near Cherry Hill and Moorestown, and also easily accessible to I-295 and Route 70. A short drive will lead you to the Cherry Hill Mall, the Moorestown Mall, plentiful restaurants, and the area’s best schools. Tour today to learn how you can live the Friedman Five Star Lifestyle at Maple Terrace Apartments!